OURS EXCLUSIVELY/NEW PRICE! Enjoy the most beautiful views on all of Fire Island....the Great South Bay...from this wonderful Bayfront lot with bulkhead - comes with foundation pilings in place and active building permits! Build your Dream House!!! Owner will finance with 20% down! PRICE REDUCED. 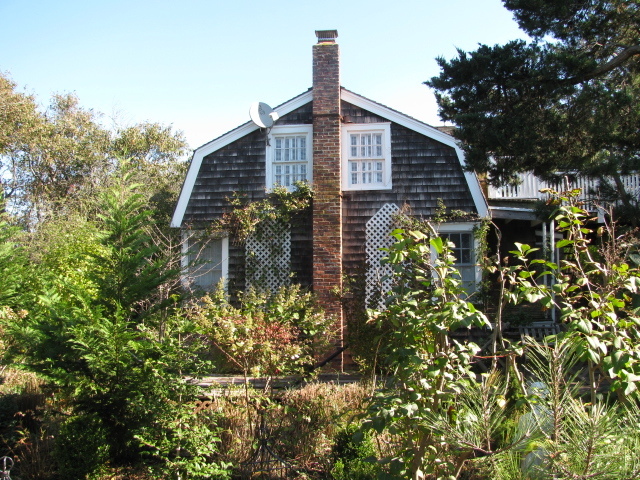 FIRE ISLAND PINES! PRICE REDUCED! Contemporary 4 bedroom/3 bathrooom home on large lot - completely fenced for privacy, West end of the harbor in Fire Island Pines! Great kitchen, formal dinning room - open living room for entertaining and magnificent, sun-drenched pool and surrounding decks. Outdoor shower, new laundry, heat and a/c. Large, buildable oceanfront lot. Located on the East side of the Grove. Build the beach house of your dreams!! OURS EXCLUSIVELY! Historic "Pride House" is located on one of the highest elevations in the Grove on the charming West End. This lovely house has all the original charm of a country home, featuring 3 bathrooms, 5 bedrooms, wood burning stoves, French doors opening on to lovely decks. Original pine plank floors with contemporary kitchen. Partial basement, out door shower. Spectacular gardens on an extra large lot with mature perennial plantings & French bronze fountain. This one-of-a-kind home will also produce excellent rental income. OURS EXCLUSIVELY! Wonderful 2 bedroom cottage, literally steps off the beach! Full kitchen & bath, carpeting, washer/dryer, satellite TV, wi-fi. Outdoor spaces includes large pool with bright sunny deck AND new hot tub... comfortable outdoor dinning area, lots of privacy! PRICE JUST REDUCED! Charming two bedroom country cottage right on the Great South Bay with beautiful plunge pool...huge deck, nicely furnished, gourmet kitchen with top of the line appliances...a cook's delight! Gas grill & outdoor hot and cold shower for two! Property fenced with an excellent location in the West End of Cherry Grove. Architects plans for a second story included! Contemporary 3 bedroom, 3 bathroom, 2 story home on the East End of Cherry Grove with very large rooms with convenient access throughout the house to outdoor decks and terraces. Water views of the bay and ocean from terraces. Master suite has gas fireplace, oceanside and bayside balconies with views, and large full bath, storage/mud room. Living room and Dining room separated with a decorative fireplace, full size kitchen with breakfast nook. Cedar inside and out, with floors of whitewashed hardwoods. OURS EXCLUSIVELY! NEW PRICE!!! Beautiful main floor, pool-side studio co-op at the Grove Manor, in the heart of Cherry Grove! Close to all the fun and just steps to the beach OR enjoy the heated, salt water pool! A/C, mahogany decks, coin-op laundry on site. Monthly maintenance $375. Main floor studio co-op at the Cherry Grove Inn....just steps to the beach! Large bathroom....comfortable space!Amazing common roof deck with bay and ocean views! PRICE REDUCED! NEW PRICE!!! 2-story contemporary with large yard, 4 bedrooms, 2 bathrooms...open, sunny deck space with hot tub. Just 4 houses off the ocean on a direct beach access walk! Great Income opportunity! Great top floor, corner studio co-op at the Cherry Grove Inn! Wonderful roof deck with fabulous views of the Atlantic Ocean and Great South Bay. Common use laundry roof, too!